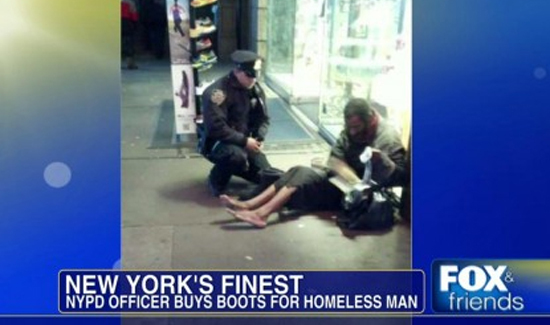 Sometimes the cops help the homeless and sometimes it’s the other way around. After a high-speed chase in King County, Washington, police eventually found their suspect. They did get some assistance from an unlikely hero- a local homeless man. The chase ended with three suspects bailing out of a stolen vehicle at which point they fled on foot. During the chase, the stolen car reached speeds of 90 miles per hour and put a lot of folks on the road in danger. Deputies deployed a “spike strip” which blew out the stolen vehicle’s tires. The three suspects then jumped over a barrier and ran into some brush just off the road. Sadly, the area is the location of a local “tent city,” where homeless individuals reside. But just because someone is homeless doesn’t mean they don’t want to help cops catch a bad guy. “We were aided in trying to find these guys by a good Samaritan who’s a homeless person that flagged us down and said, ‘Hey, I think they just ran past my campsite.’ He was really helpful, so we appreciate that guy’s help,” King County Sheriff’s deputy B.J. Meyers told KOMO News. Officers quickly found and arrested two men and a woman. Meyers said all three had outstanding warrants, and all three were booked into jail. Meyers said the driver was also wanted in connection with a recent burglary in Seatac. A gun was recovered from the stolen vehicle as well.